in Santa Fe, New Mexico — the Land of Enchantment! 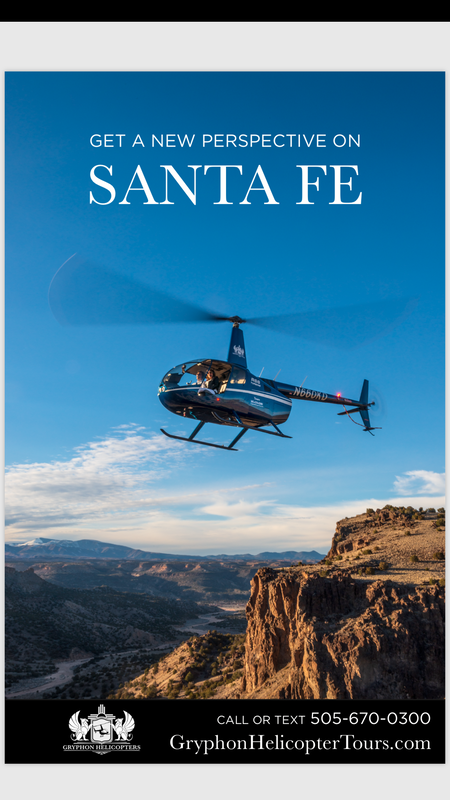 Many different helicopter tours are available! We fly the Robinson R66 Turbine, a proven turbine four-passenger ship with unsurpassed visibility for your tour. Don't see the tour you want? Have three or more passengers? We can quote on any Special Tour you have in mind! Call us for more information: (505) 670-0300. We are available for events scheduled in and around Santa Fe. 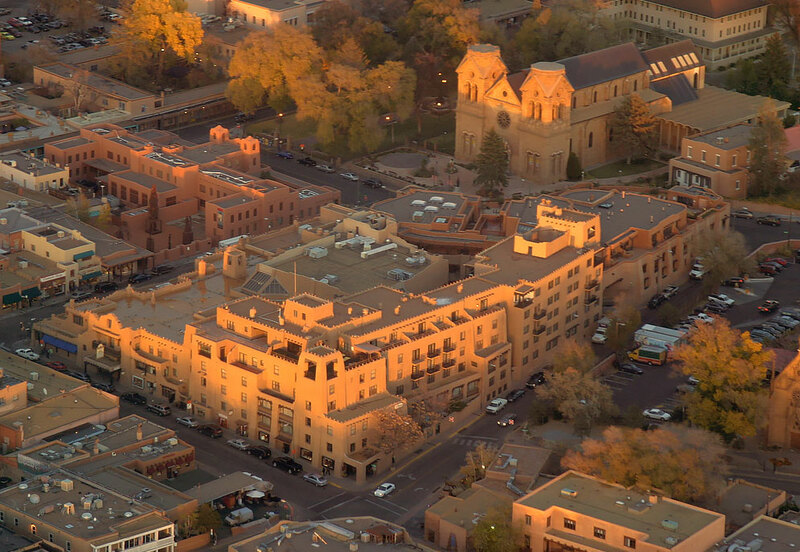 See New Mexico from a bird’s eye view. These exciting tours can be a once in a lifetime adventure. Feel safe and secure with our experienced pilots and staff. 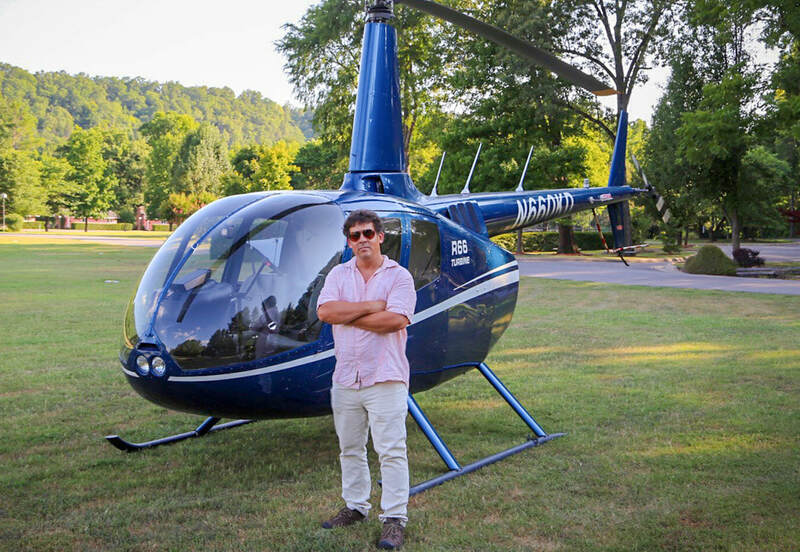 Enjoy the thrill and adventure of a Gryphon Helicopter tour. • Weddings, family gatherings, vacations, honeymoons! 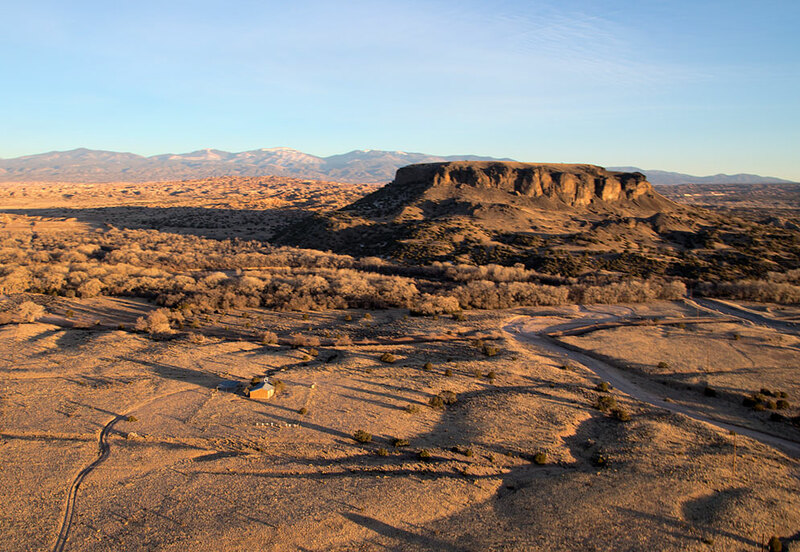 We offer aerial photographic services for a wide range of clients in the Northern New Mexico area. Gryphon Helicopters is located at the Santa Fe Airport Jet Center, to the right of the tower.